The Peters Company is so fortunate to have a talented group of professionals who perform at a world class level every day. Lesley and I have worked hard to ensure that with every hire we go higher, not just in production but in the level of service we provide. A good example of this is Jennie Moshure. Jennie joined our team as a new buyer’s agent about five years ago. 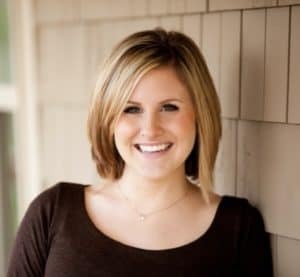 Her desire to learn the business and follow the models led her to a promotion as the Lead Buyer Specialist, where she was able to develop her leadership and further her real estate skills. Gaining notoriety throughout the Atlanta area and even the Southeast Region, Jennie quickly became a fine role model for The Peters Company exemplifying what Lesley and I envisioned for our team in attitude and performance. I was looking for a complimentary Listing Specialist for our team due to our growth over the last two years. For most people you can’t buy a house until you sell a house, and since virtually 50% of our business comes from listings, the Listing Specialist is an incredibly crucial role to the success of our team. Not only was I hiring for an important position, but I was potentially hiring my replacement! There is nobody that I would rather have working with our sellers than Jennie Moshure, and I’m thrilled to announce her as The Peters Company Listing Specialist. Jennie affectionately and jokingly refers to Lesley and myself as her real estate mom and dad so I guess this is what it’s like when you watch your kids succeed! I am so happy to be in business with Jennie, and I’m most excited for all of our sellers, who are in for a treat working with her now on the list side. So, what in the heck are you going to be doing now, Andy? Good question. It won’t be sipping margaritas on the beach. I can tell ya that. I’m already settling in as the new Director of Sales for The Peters Company. This is a position that’s really built for me, both literally and figuratively. On a day to day basis, my number one job is to lead, coach, and support the amazing sales agents on both the buyer team and the listing team. I’m maintaining our high standards and continuing to do all I can serving our clients. Onward!